Good quality, 100% cotton, 280 gsm pre-primed canvas. Supplied with wooden wedges to stretch the canvas in adverse weather conditions. Canvases should be rested on an easel or a flat work surface with minimal pressure on the flexible, unsupported area of the canvas. Avoiding to do so will result in dents to your canvas' surface. To fix dents on a canvas surface, lightly spray the back of your canvas with a mixture of water and diswashing liquid, or a window cleaning product and leave to dry. This technique should render the canvas surface taut again. 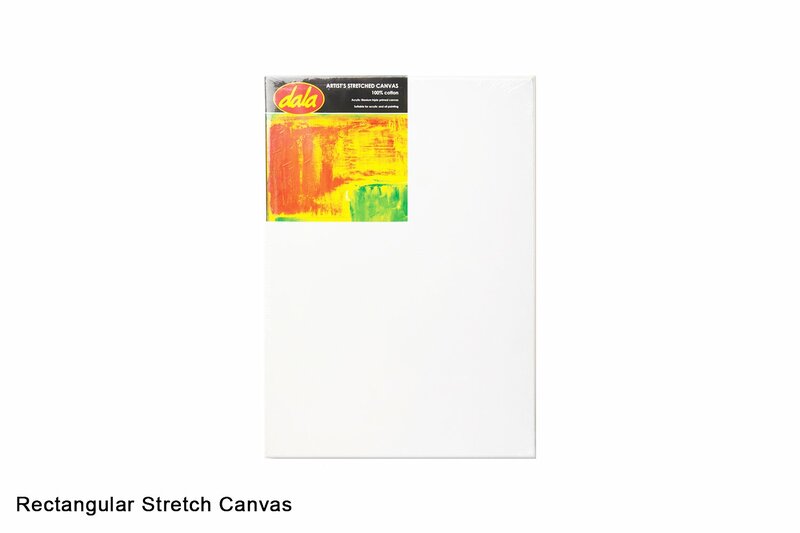 If not - stretch canvases can be fixed using the small pieces of wood that the canvas came with. These small wooden "wedges" - also known as "keys" - can be driven into the wooden joints to alter / improve the tautness of the canvas' display surface. There should be 8 keys in the pack - 2 keys are inserted per canvas corner. Pick a corner to start with and insert a key sharp side first. Then insert the second key at a right angle to the first one. Repeat for all corners. Once the keys have been inserted, use a small hammer to gently knock them in. You will notice at this point that the wood joints in each corner will have gaps in them and have stretched the canvas surface. This item has 2049 views.